The sunny skies indicate the season to slide is upon us in Albuquerque, New Mexico. 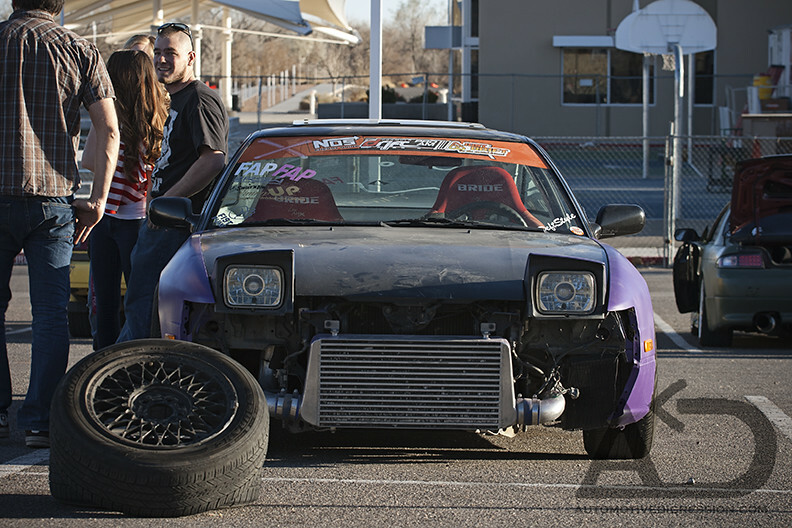 Along with Sandia Speedway local drifters have a free parking lot event every third Friday of the month. Cars are teched at 5:30 pm and anyone is allowed to run until 10. This past Friday, March 16th, was the first of these events in the 2012 season.